The city of Moscow has launched an innovative program that gets private developers to pay to restore historic properties in “inadequate condition.” It’s really rather ingenious. The city’s Heritage Commission picks properties that are in dire need of repair and offers 49-year leases for a yearly rent determined by auction. The developers pay the market-price rent — they pay the first year of rent up front — while they restore the building to specifications determined by the Heritage Commission. Once the restoration is done and approved, the yearly rent drops to one ruble per square meter for the rest of the 49 year lease. Last Wednesday the first auction was held, and it was a notable success. 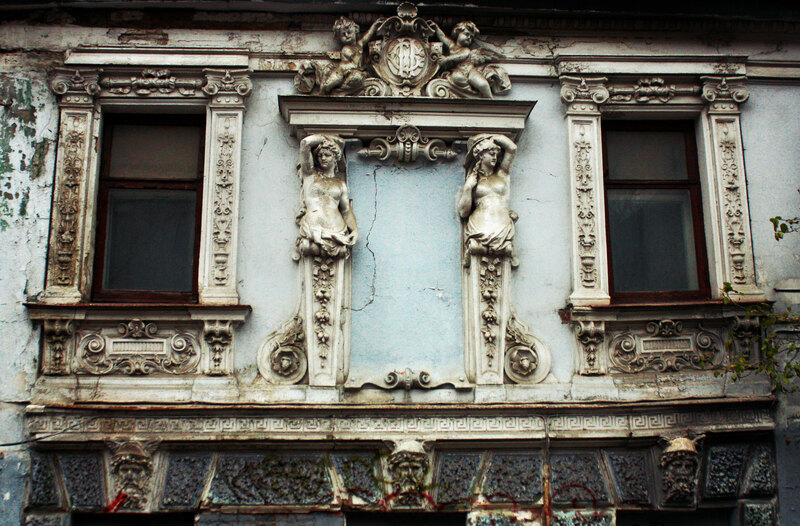 Twenty bidders competed in rent auctions for three historical buildings, the mansion of the merchant Morozov family (late 18th-early 19th century), the mansion of merchant Nikolai Baulin (circa 18th century), both on Nikoloyamskaya Street, and architect Konstantin Busse’s 18th-19th century mansion on Podsosensky Pereulok. The final bids for yearly rents ranged from $470,000 to $682,000. Moscow’s Heritage Commission has indicated that there are a total of 244 historical buildings in a precarious state that it would like to have renovated through this program, and has said they have 50 applications from potential investors. All restorations must be finished within five years of signing the contract, or the lessors will have to pay a fine equal to six months of market rent. The restoration has to be approved by the Heritage Commission. If it’s substandard or shoddy work, it will not be accepted. Presumably that means the rent reduction won’t take place, but I don’t know what other penalties will be applied, if they’ll have to redo the restoration or if the contract will be considered broken and the property offered to someone else. Obviously oversight is key to the success of this plan. Rejecting the final restoration at the end of five years will not prevent disasters. The city has to keep an eye on the construction to ensure all historical preservation laws are being obeyed and to do ongoing quality assurance. The Department of Cultural Heritage insists that all landmark laws will be enforced, which means that there can be no altering the interior structure to make, say, a warren of hotel rooms, in any officially designated landmark buildings. Not all historic properties have landmark status, however, so in some cases the rules will allow extensive alteration inside as long as the facade and structure are preserved. For the three buildings auctioned Wednesday, the restoration standard requires that they be returned to their 19th century condition. All work must be done by qualified restoration experts according to strict guidelines developed by the Department of Cultural Heritage for each project. If there is proper oversight, this could turn out to be an enormous boon for Moscow’s historic architecture and economy and a damn sweet deal for the renters to boot. Developer MR Group estimates that the cost to restore the three buildings that were auctioned Wednesday could range anywhere from $2,500 to $10,000 per square meter, depending on the structures’ conditions. For the 993-square-meter Podsosensky Pereulok mansion, that’s a total restoration price tag of $2.5 million to $10 million. That would make the restorations cost about four to 15 years of market rent, so assuming they do it right the first time and within the five year limit, investors will be getting at worst 19 years of rent on restored 19th century historic properties in downtown Moscow practically for free. The city gets someone else to pay to save derelict structures while still owning the properties, plus lots of construction jobs on an ongoing basis. Buildings that would otherwise be vacant/home to squatters will be put to use while Moscow’s historic center preserves and enhances its character instead of just knocking it down. Should it manage to avoid being mired in corruption and look-the-other-wayism, this program might just be crazy enough to work.